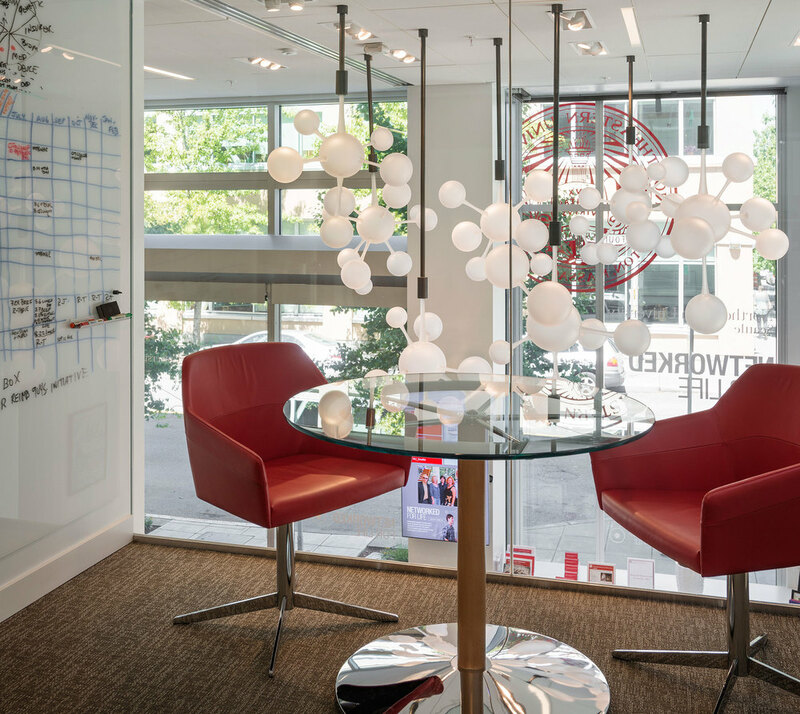 In 2013, JP Canlis created a custom glass installation for Northeastern University's Seattle campus. Commissioned to create a glass installation pulling together the scientific community and the art world of Seattle, JP designed Connectivity . His seven-piece installation, hand-blown and hot-sculpted abstract glass molecules, floats above the campus entryway. The sculpture's presence in the space draws the viewer in and illuminates the vision of the school. It took five months for JP and his team of assistants to create Connectivity. The process proved to be laborious and rewarding. 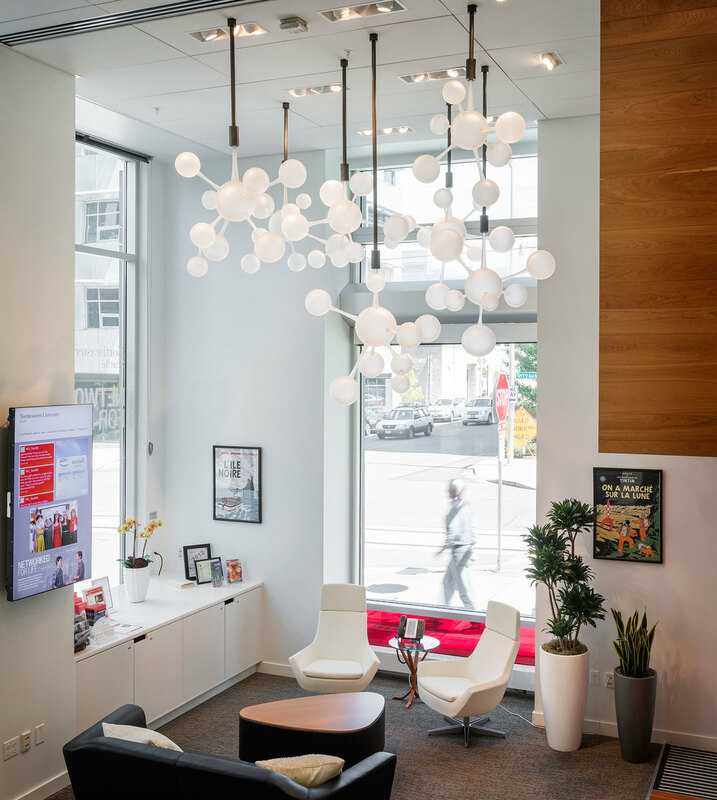 The entire installation occupies a space of nine feet square, suspended from the ceiling in the entryway of the building.